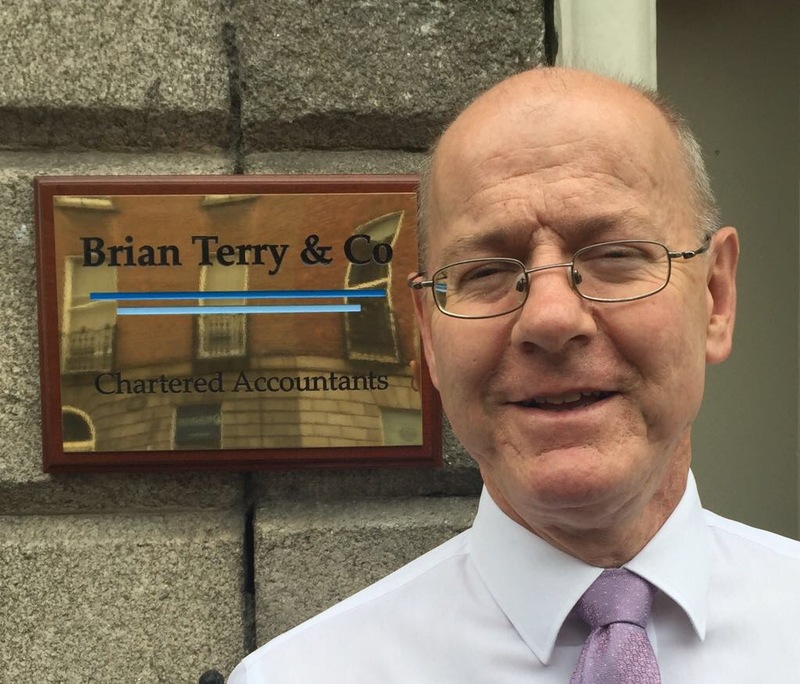 Brian Terry is a Fellow of the Institute of Chartered Accountants in Ireland and a Chartered Tax Adviser with the Irish Taxation Institute with over thirty years experience. With this wealth of experience we deliver a range of value added accountancy, tax and advisory services. We pride ourselves in being approachable, personable, enthusiastic, professional, value for money and above all, effective. In the current financial climate conditions are tough, so if you struggle to get a response from your current accountancy firm, come and have a chat with us. We have developed a reputation for providing a quality service for our clients for over fifteen years. Our experienced professional staff supply a full range of accounting services tailored to our clients’ requirements. We offer a free initial consultation to all prospective new clients. • No change to the 20% and 40% income tax rates. couple/civil partnership with two incomes. • From 1 January 2019, the third USC rate of 4.75% will be reduced to 4.5%. the 4.5% USC rate will apply is to increase to €19,874. Minimum wage will increase from €9.55 per hour to €9.80 per hour, from 1 January 2019. • Weekly social welfare payments will increase by €5 per week from March 2019. • A full 100% Christmas bonus will be paid to social welfare recipients in 2018.
has been extended for a further three years to 31 December 2021.
years to 31 December 2021. • No change to CGT and CAT rates. children, has been increased by €10,000 to €320,000, with effect from 10 October 2018. • No change to stamp duty rates. The Minister reaffirmed the Government’s commitment to the 12.5% corporation tax rate. Corporation tax exemption for start-ups Corporation tax relief for certain start-up companies has been extended for a further three years to 31 December 2021.
rules, which will be effective for accounting periods beginning on or after 1 January 2019.
the scope of Irish taxation. There will be a review and update of Ireland’s transfer pricing regime in 2019.
refuelling equipment is to be introduced; details are expected in Finance Bill 2018.
announced that amendments will be made to the legislation but no details are yet available. subject to a cap of €50,000 on the original market value of the vehicle. increase from €376 to €386. subject to EU State aid approval. 3. 100% of the salary of the employee/director in the year of grant (increased from 50%). property will increase to 100% from 1 January 2019. October 2018. There will be a pro-rata increase on other tobacco products. • There are no changes to the duty on alcohol, petrol or diesel. bookmakers, as well as an increase to 25% (from 15%) on commission earned by betting intermediaries. effect from 1 January 2019. • Printed newspapers and access to sporting facilities will continue to be subject to the 9% VAT rate. • The rate applicable to electronic publications will reduce to 9% from January 2019.
for a period of one year, until the end of 2019. • A 1% VRT surcharge will apply to all diesel passenger vehicles registered from 1 January 2019. • No changes were made to the rates of carbon tax. over the period to 2030.
investment in higher education courses across the country. funding for customs requirements and other targeted measures. annual tax saving of €150 for those taxpayers in the marginal rate tax bracket. Tax credits The earned income credit has been increased from €950 to €1,150. This credit is available to taxpayers earning self-employed trading or professional income and to business owners/managers who are ineligible for a PAYE credit in respect of their salary. The home carer tax credit has been increased from €1,100 to €1,200. Universal Social Charge (USC) Entry level for USC remains unchanged at €13,000. The increase of €650 in the second USC band combined with a reduction in the second and third rates of USC should result in an annual tax saving of up to €178. Increasing the ceiling for this new rate from €18,772 to €19,372 should ensure that full-time workers on the increased national minimum wage of €9.55 per hour do not pay the upper rates of USC. Employees and company vehicles From 1 January 2018 a zero percent BIK rate is proposed for electric vehicles for a period of one year. Electricity used in the workplace for charging vehicles will also be exempt from BIK. Share incentives for key employees (Key Employee Engagement Programme (KEEP) A tax efficient share-based remuneration incentive is being introduced to facilitate the use of share-based remuneration by unquoted SME companies to attract key employees. Gains arising to employees on the exercise of KEEP share options will be liable to CGT on disposal of the shares in place of the current liability to income tax, USC and PRSI on exercise. This incentive will be available for qualifying share options granted between 1 January 2018 and 31 December 2023. Minimum wage Minimum wage increased from €9.25 per hour to €€.55 per hour. Home owners Tapered extension of mortgage interest relief will continue past 31 December 2017 for owner occupiers who took out qualifying mortgages between 2004 and 2012. The tapered extension will be effected by allowing interest relief of 75% of the existing 2017 relief in 2018, 50% in 2019 and 25% in 2020. Social protection Weekly social welfare payments will increase by €5 per week from last week of March 2018. An 85% Christmas bonus will be paid for social welfare recipients in 2017. Corporate tax The Minister of Finance confirmed Ireland’s continued commitment to maintaining the 12.5% corporation tax rate to attract and retain foreign direct investment. International tax update As initiated in Budget 2017, a Review of the Irish Corporate Tax Code (the Review) was carried out by Mr Seamus Coffey and published on 12 September 2017. This review included a number of recommendations to be considered by the government following the completion of a consultation phase prior to the introduction of the recommended changes. As part of the Budget papers, the Government issued an Update on Ireland’s International Tax Strategy which benchmarks Ireland’s progress on meeting international tax standards and instigated the consultation process recommended in the Review. Capital Allowances on Intellectual Property (IP) One of the key recommendations within the Review was a restriction on the capital allowances available for capital expenditure on IP to 80% of the relevant income arising from that IP. The Minister has now implemented this recommendation from 11 October 2017. It is important to note that this restriction applies only in respect of new expenditure incurred on or after 11 October 2017. Relief arising from intangible assets acquired prior to this date will not be restricted. Notably full relief will still be granted for the cost of acquiring the IP albeit over a longer time period. The above restriction results in an effective 2.5% tax rate on income arising from such IP, restoring the position previously in place prior to 2014. Accelerated capital allowances for energy efficient equipment This measure originally introduced in Finance Act 2008 to incentivise companies to purchase energy efficient equipment has been extended until the end of 2020. This measure allows companies to claim 100% capital allowances for the cost of qualifying energy efficient equipment in the year the asset is acquired and brought into use. 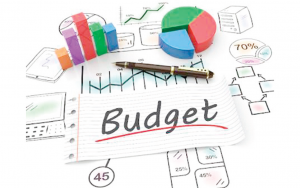 Property Budget 2018 concentrated on initiatives to address the issues in the housing market and consequently taxation measures that targeted the property market were prevalent. The primary aim appears to be the release of both existing residential property and development residential property into the market. Stamp duty Non-residential property rate Since 14 October 2008 the stamp duty rate applicable to transfers of non-residential property reduced on a sliding scale from 9% to 2% with the aim of buoying the then very stagnant property market. Having achieved its objective the rate is now increasing from its current 2% to 6% for transfers of non-residential property on or after 11 October 2017. Stamp duty refund scheme Commercial land purchased for the development of housing will be eligible for a stamp duty refund. The refund will be subject to certain conditions, including a requirement that the ‘relevant development’ is commenced within 30 months of the land acquisition. Young trained farmers The exemption from stamp duty on transfers of agricultural land to a young trained farmer has also been maintained. Seven year exemption An exemption from Capital Gains Tax (CGT) was introduced in Finance Act 2012 which provided an exemption from CGT on the disposal of residential and commercial property purchased between 7 December 2011 and 31 December 2014, and held for seven years. In order to free up stockpiled land banks of undeveloped property, the holding period has been reduced from seven years to four years with immediate effect. Pre-letting expenses In order to encourage owners of vacant residential property to develop their property and bring it into the rental market, a measure has been introduced for the tax deduction of pre-letting expenses where that property remains in the rental market for a period of at least four years. Vacant site levy Since 1 January 2017 local authorities have been tasked with the establishment and maintenance of a register of vacant sites zoned for residential or regeneration purposes, which measure in excess of 0.05 hectares. An identified vacant site can be entered on the register when the authority is of the opinion that it has been vacant for a minimum of 12 months preceding its entry on the register. From 1 January 2018 properties entered on the register are subject to an annual 3% levy on the market value of the site, which is payable in arrears at the beginning of 2019. The vacant site levy has now more than doubled for second and subsequent years, rising from the current 3% rate that applies in the first year to 7% each year thereafter. This measure will mean that any owner of a vacant site on the register who does not develop their property in 2018 will pay the 3% levy in 2019. If they continue to retain their vacant land then they become liable to the increased rate of 7% in 2020 meaning an effective total levy of 10% over a two year period. Solar farms For the purpose of CAT and CGT, the leasing of agricultural land for solar infrastructure is classified as agricultural land and thereby eligible to qualify for relief under both agricultural relief and retirement relief. A condition has been imposed restricting the amount of the farmland that can be used for solar infrastructure to 50% of the total farm acreage. Excise The excise duty on 20 cigarettes is being increased by 50 cent, including VAT, with effect from midnight 10 October, with pro-rata increases for other tobacco products. This will increase the price of the most popular brands to €12. There are no changes in the rates of duty on petrol, diesel or alcohol. VAT The VAT rate applicable to the use of sun beds is being increased from 13.5% to 23% with effect from 1 January 2018 in line with the government’s national cancer strategy and the clear link between sun beds and skin cancer. There is no change to the 9% VAT rate applicable to many tourism related services. Compensation scheme for charities A refund scheme will be introduced in 2019 to compensate charities for VAT they incur in 2018. The level of refund will be restricted in proportion to the level of non-public funding they receive. A capped fund of €5 million will be available and the scheme will be reviewed after three years. If total claims exceed €5 million, the individual claims will be paid on a pro-rata basis. Sugar-sweetened drinks tax This will be introduced from 1 April 2018 in tandem with the UK. A rate of 20 cent per litre will apply to drinks with a sugar content between 5-8 grams per 100 ml. A higher rate of 30 cent per litre will apply where the sugar content is 8 grams or above. Brexit loan scheme This loan scheme of up to €300 million has been made available at a competitive rate to SMEs to help them with their short-term working capital needs. This scheme is supported by the European Investment Bank Group, the European Commission and the Strategic Banking Corporation of Ireland. It will give SMEs time to put in place the necessary changes to help their businesses grow into the future. Additional agriculture funding In addition to the Brexit loan scheme, an additional €25 million has been allocated to the Department of Agriculture, Food and the Marine to provide for the development of further Brexit response loan schemes for the agri-food sector. Copyright © 2019 Brian Terry & Co.